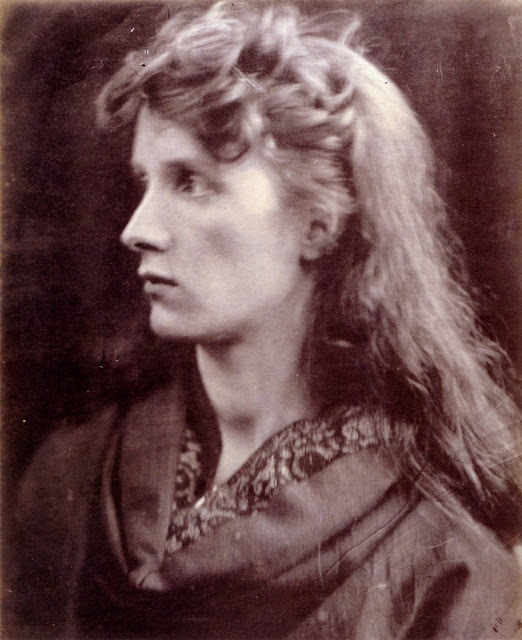 The model known simply as 'Mrs Keene' is the most striking of Julia Margaret Cameron's models with her angular face and direct gaze. Not much was really known about her at the time, other than she was one of the few 'professional' models that Mrs Cameron ever employed, but the effect she had on the photographer's art was stunning. 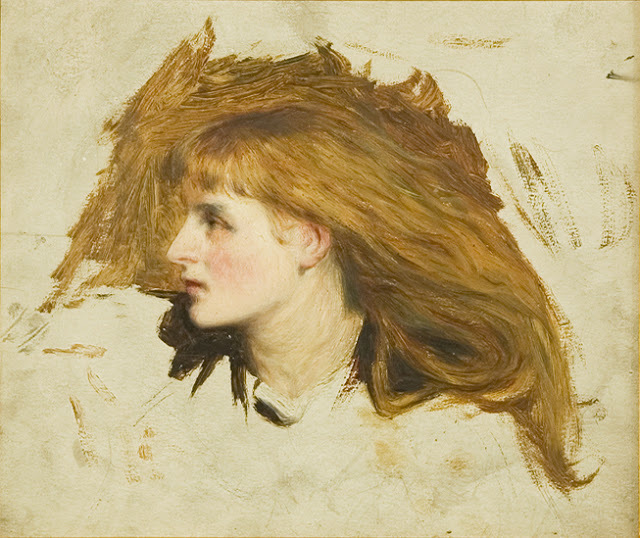 When Mrs Cameron sent this photograph to her old friend Sir John Herschel (whose work on lenses had been instrumental in Cameron's interest in photography), he wrote back 'That head of the 'Mountain Nymph Sweet Liberty' ... is really a most astonishing piece of high relief - she is absolutely alive and thrusting out her head from the paper into the air.' She truly is an arresting woman, so who was Mrs Keene? Annie Edwards was born in the village of Albrighton in Shropshire, in the autumn of 1842. Her parents, George and Mary, were rural-types, born and married within a few miles of where they settled, had kids and probably died. George was a labourer, a bricklayer, and Annie was the eldest of the couples' five children, four daughters and, finally, one son. It is possible Annie moved south with a family she went into service with. In the 1861 census, there is a Shropshire family, the Langslows, who had moved to London between the 1851 census and the 1861 census and in their household staff is 19 year old Ann Edwards, also from Shropshire. Annie had been removed to the big city. Charles Joseph Keene was an amateur artist and inventor from Bristol. In 1862 he registered a patent for 'a winding apparatus for raising and lowering canvas from easels' and by the 1861 census he too had made his way to London, staying in lodgings in St Pancras and working as a manager of a fur warehouse. Annie and Charles were married in the summer of 1865 and in the 1871 census, Annie Keene is listed as a 'model of the head'. The couple's daughters, Marie Taigi, Laura, Jessie and Elizabeth (Bessie), were all to take their career tips from their mother. 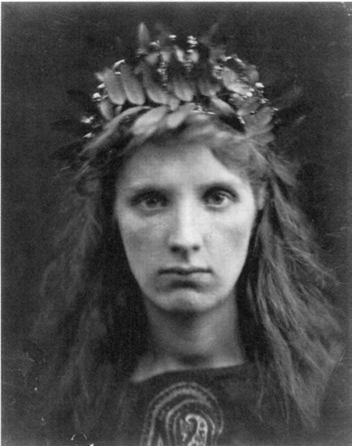 Taigi (1866-1938), named for a Catholic saint Maria Taigi, became an actress during the 1880s until her marriage. She was on the stage with her husband, Henry Vibart. 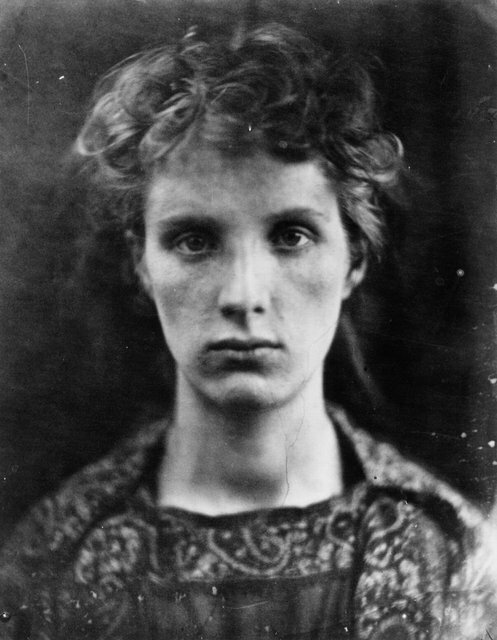 Laura (1867-1955) modelled for James Whistler, marrying Thomas Bagshawe and by 1911, John Bernard Bagshawe (future vicar) had been born. 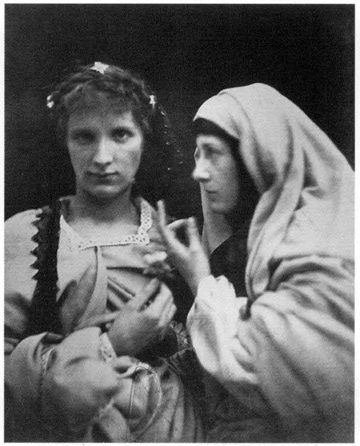 Jessie (1872-1950) modelled for, then married, the artist William Wontner, and Bessie became one of Burne-Jones' favourite models. 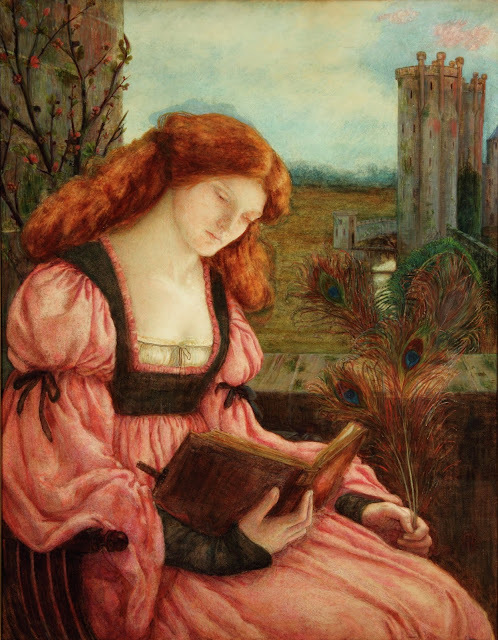 Although Love Among the Ruins is thought to feature the features of Maria Zambaco, in the later oil version (now at Wightwick Manor), it is the lovely Bessie instead. 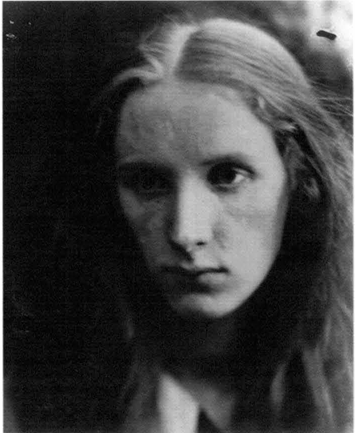 The interesting thing about Annie Keene is normally when I research models I get excited when I find a photograph of them. 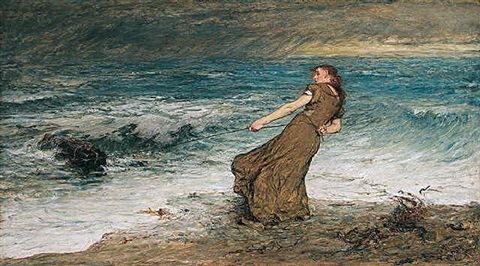 With Annie, it's the other way around and although I had read she had been a model for other painters, thanks to The Strand I found some rather nice paintings. It could have been that Stillman met Annie while posing for Mrs Cameron as both were models for Cameron at around the same time. Annie and Charles lived on at Maitland Park Villas in the St Pancras area of London. Charles became an accountant to a debt collector, then they retired to Hampstead, at 12 Hill Park Gardens, where they are listed in the 1901 census. 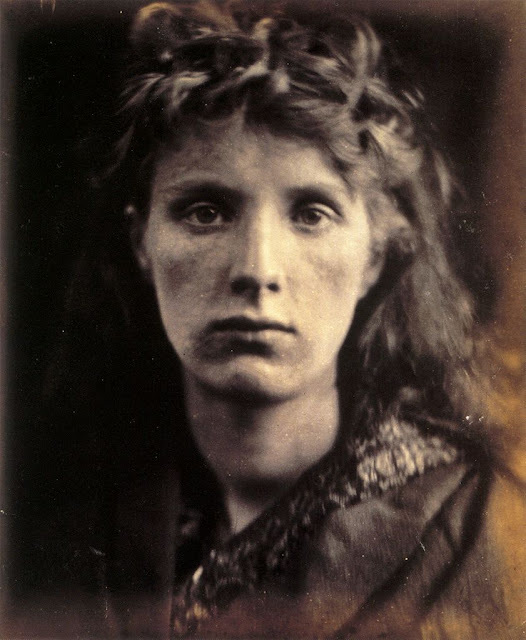 However, on 6th November 1901, Annie died, aged 59. 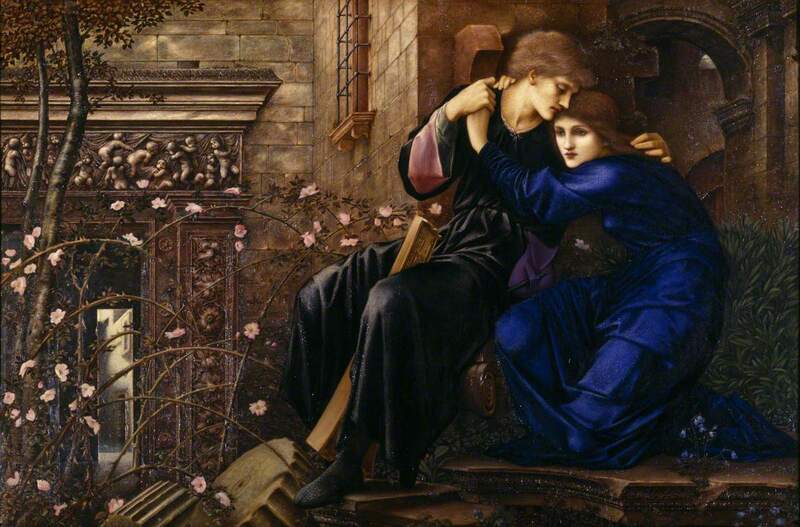 She left £497 to Charles, and a wealth of art her beauty had inspired to the rest of us.